As I visit our incredible schools I am often reminded that we as adults can and should be learning criticaly important life lessons from our kids. Empathy for others; respect for those who think or act differently; and a general kindness to everyone. There is no better encapsulation of these acts than yesterday’s Challenger Basketball Game at Palos Verdes High School. 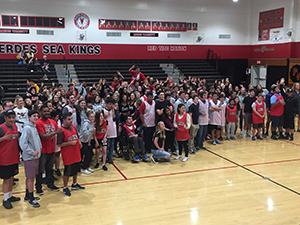 Students in Palos Verdes High School’s Be The Change class worked with the Special Education program and teachers to organize the Challenger Basketball Game for special needs students. Half-court basketball games allowed the players to showcase their dribbling and shooting skills while being supported by a gym full of supportive fellow students, staff, parents, the Seaking cheer squad and band. Our entire community should be so proud of our students who participated in this event, either filling the gym and cheering on their peers, personally mentoring their buddy, or coordinating and supporting the event. It was a special time for everyone involved and a great example of how our students can more behaviors we as adults should emulate. Over the last month, the Board has discussed, and will continue to discuss, a myriad of issues ranging from security, school scheduling at the macro and micro levels, calendars, facilities needs, cell phones, new programs, compensation and, of course, how we are going to pay for anything with an attached cost. In terms of additions, we have also voted to support a mental health coordinator position for the District. Parents, teachers and principals are calling for a coordinated effort to address a mental health crisis in children that is growing exponentially and that is not unique to Palos Verdes. We also have dedicated some funding this year for needed security enhancements to our schools for visitors on our campuses which will require an updated badge identification and check in process. We have begun to work with our county Board of Supervisors, the state legislature and our local cities on both mental health and security issues, but this effort has a lot of work ahead. As far as what we are discussing going forward, with regard to budget, we have committed to balancing our budget for the upcoming year, instead of deficit spending as we have done the last few years, to keep a healthy reserve for times of uncertainty. Thus, to afford new spending for staff raises, programs, and other needs, in our time of declining enrollment which means less state funding, we need to cut about $2 million from our budget for next year. Of course, we always keep in mind our gratitude to PEF and our residents who pay our parcel tax for providing funds that help in great measure with retaining programs and excellent teachers. 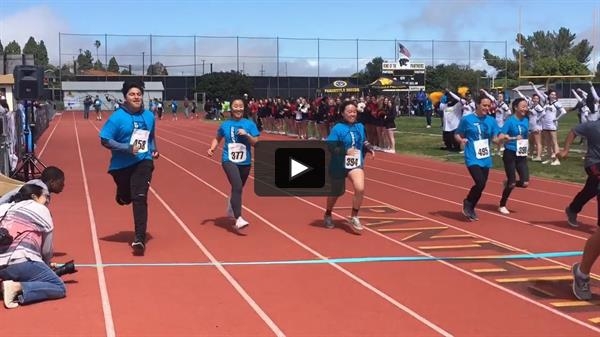 Palos Verdes Peninsula High School recently partnered with Special Olympics to host the 1st Annual Unified Track Meet on March 28, 2019. Peninsula is proud to be a Special Olympics Unified Champion School, and this track meet was a culminating event to “Choose To Include & Show Respect” activities that took place throughout the course of the week in partnership with Best Buddies. Approximately 50 unified athletes from Peninsula High and Palos Verdes High participated. These athletes are students with and without disabilities running together in heats based on their times in three events (50m, 100m and relay). Supporters at the event included the Peninsula High School Choir, Marching Band, Dance, Peninsula and PV Cheer, ASB, Link Crew, PLUS, Service Learning and the Panther mascot. Come celebrate and support our amazing schools at THE Palos Verdes social event of the year: The 2019 Main Event Gala. This year we are featuring live professional musical performances "From Classical to Rock" including some of our talented students! Join us for cocktails, dinner, dancing and some incredible live and silent auction items. On April 7, Peninsula’s CyberPatriot Team started their performance at CyberPatriots Nationals Finals Competition in Baltimore. CyberPatriots is the National Youth Cyber Education Program that focuses on cyber defense. A competition consists of presenting a team of up to six people with a set of virtual images that represent operating systems. The team is given six hours to find cyber vulnerabilities within the images such as viruses, backdoors, unsecure passwords or hidden users in files. CyberPatriot Team adviser Hassan Twiet has been coaching the Peninsula CyberPatriot program for 10 years. He has worked with seniors RJ Wakefield-Carl, Robert Peltekov, Saahil Parikh, Ryan Chau, Nicholas Wang and Seth Karner for the past four years. When he first started, Twiet only had two machines and one team. Since then, the CyberPatriots team has attended nationals five times with their sixth time coming up this year. In preparation for the competition, the team is competing in many local competitions, meeting every Saturday and asking professionals for help. Twiet has contacted local businessmen, El Camino College, Long Beach College and the Palos Verdes Peninsula Unified School District to help prepare for the competition. The team plans to look at the local college labs to see how they solve tasks similar the ones given at competitions. Peltekov has been with the team since his freshman year. He believes his hard work has paid off when he sees the results of competition. Peltekov, like Twiet, has high hopes for his team. After placing second in the state of California, Peltekov hopes for first place at nationals. However, Peltekov knows that no matter the end result, his team has worked hard this year and going to nationals is a major accomplishment. “We have all been able to accustom ourselves to specific tasks and jobs,” Peltekov said. Chau has also been a part of the team since freshman year. CyberPatriots sparked his interest and he has since grown closer to it. Chau is designated to work with Windows images at competitions and he is preparing to do so at nationals. The team is preparing to compete against the best 11 teams in the nation. This next month will be designated to helping the team prepare for nationals. For all team members, this competition will be the last for their high school careers. The whole team has enjoyed their past four years and hope to bring home a national win. Lunada Bay has an amazing Fine Arts Program due to the kindness of the parents through donations to the Lunada Bay PTA. Our flagship, one-of-a-kind program provides each grade level with an age appropriate art activity that goes for roughly 6-8 weeks. These activities include folk dance for kindergarten, ceramics for first, puppetry for second, dance for third, musical theater for fourth and modern dance for fifth graders. Additionally, Lunada Bay has an outstanding Music Program as a result of the generosity from the Peninsula Education Foundation and the community that it supports! We offer classroom music one time per week in kindergarten, first, second and third grades. The core music program for third, fourth and fifth grades includes instruction in playing recorder. In fourth and fifth grade, there is a choice between Instrumental Music and Core Music instruction. Instrumentalists are grouped by their instrument (brass, strings, or woodwinds) and given instruction for fifty minutes by our instrumental music teachers. Students can also participate in either Brass/Woodwind Ensemble or String Ensemble that meet once a week before or after school. The music classes perform in winter and spring concerts. Lunada Bay also offers the opportunity for third, fourth, and fifth grade students to join the chorus which meets weekly before school in preparation for the March Choral Festival at the Norris Theater. On Saturday, February 2nd, while possibly one of the worst storms in recent memory ravaged this area, Miraleste held a giant VEX Robotic competition. With close to 30 teams competing, it was one of largest Intermediate School competitions in the State. While 30 mph winds destroyed the outside snack bar, the teams inside the Miraleste gym battled with their incredible machines. The robots were both very simple yet very complex. One task was to gather balls and fling them into targets. The engineering and creativity to make this occur was astounding and not one machine was alike. The ultimate goal was to win specific portions of the competition and qualify for a State Championship tournament. Four teams from Miraleste qualified and went to such venues as Bakersfield and San Diego to compete in the State tournaments. Unfortunately, none of the teams qualified for the National Championships this season, but the teamwork and comradery shown by these groups of kids will give them memories and lessons to last a lifetime. While Palos Verdes High School’s talented actors are performing on stage, a whole other group of talented performers works hard to make the show magical. For this year’s spring musical, Footloose, the orchestra is comprised of eight musicians. The orchestra members have to audition with fellow classmates hoping to be selected. On Mondays, Wednesdays, and occasional Fridays the student musicians meet up after school, working long and hard hours on the Footloose score. Shellie Parkinson, the conductor of the orchestra and the music teacher at PVHS, explains that they meet two to three times a week, and each day they rehearse for at least three hours. As the show gets closer, they practice while having dress rehearsals for six hours a day. Finally, tech week is the last rehearsal week before the show and consists of seven hour days after school, everyday, until opening night. Our hard working orchestra does not waste a second in rehearsals, perfecting each note to support the actors and to please the audience. Paige Foster, a sophomore at PVHS, plays the flute and various percussion parts in the orchestra. This will be her third musical at PVHS. “I love the orchestra pit because it provides me with a challenging repertoire to learn from and I get to support the hardworking drama department. Performing provides me with many opportunities to learn about professional orchestra pit jobs as well as working together in smaller music groups,” Foster said. William Nicholson, a junior at PVHS, plays the drum set in the orchestra. This will be his third return to the stage. William shares how special the stage design is for the orchestra. 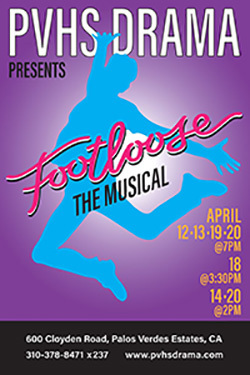 Footloose opens on April 12th.The performances are as follows: April 12th, 13th, 19th and 20th at 7:00, April 18th at 3:30, and April 14th and 20th at 2:00. Check pvhsdrama.com for more information! Mira Catalina has a fantastic PTA (Parent Teacher Association) that supports many activities throughout the school year. On Friday, February 22nd, the school hosted the second annual “Sweetheart Dance” which was held in the MPR. In attendance were mothers and sons, fathers and daughters, and entire families dressed up. It was a great night for the entire Mira Catalina community with over 200 people in attendance. Kids were having a great time dancing and playing “games” that the DJ facilitated and it was fun to see students interact with each other and their families in this casual setting. The students at Mira Catalina work hard each and every day. They are a product of their determination, the support of their parents, and of course the guidance of the amazing school staff. 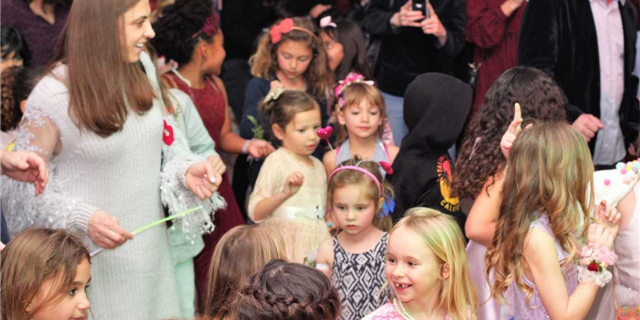 Events like the Sweetheart Dance bring the entire community together to celebrate. Special thanks to Stephanie Johnson and the Mira Catalina PTA for organizing this fantastic event. Our Positive Behavior Intervention Support team has attended trainings to reinforce school wide programs and procedures for positive interactions promoting student wellness. Our school is very proud of our wellness programs and activities. The entire school has been taught a “mind boost” routine where teachers can initiate a two minute break by playing a video and having all students relax, regroup, and get ready to learn. The school wide mind boost is done by the entire school at the SPIRIT day assemblies. Montemalaga Elementary helps students build good character traits and a feeling of wellness with scheduled Spirit days throughout the school year. 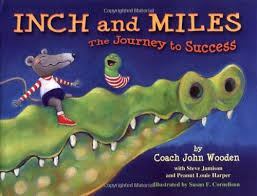 All classrooms have a copy of Coach John Wooden’s Inch and Miles- The Journey to Success . Teachers read the story and present character lessons to the class during the year. The pyramid of success is built on the following character traits: Hard Work, Friendship, Loyalty, Cooperation, Enthusiasm, Self-Control, Alertness, Action, Determination, Fitness, Skill Team Spirit, Poise Confidence, and at the top of the pyramid is Personal Best. Students work at school to earn certificates and character “sticks” to attach to the Montemalaga key ring on their backpacks. Teachers are provided with very clear descriptions of activities/behaviors resulting in the award of a specific character stick. Students are striving daily to earn at least three awards per year. If a student earns a Kindness award, for example, for a second or third time a gold star pin is placed on the character stick. Students are able to earn the following character awards: Courage, Honesty, Goodness, Kindness, Respect, Responsibility, and the Personal Best award is available during the last trimester of the school year. High school students attend the SPIRIT assemblies and share the importance of character traits and wellness. Our Student Council also presents information about the character traits being reinforced during a specific month. During weekly morning announcements, students hear about making good choices and thinking before acting. They know what to do and who to talk to if they need help or have questions. The support system is evident at Montemalaga. Montemalaga is very proud of creating a school of wellness where students feel good about themselves and have the “tools” to problem solve and to be successful. Dapplegray Elementary school is proud to offer a strong academic program that consists of general education classroom instruction and tiered RtI supports in both reading and mathematics. RtI (Response to Intervention) is a multi-tiered approach to the early identification and support of students that can benefit from small group intervention. The RtI process begins with high-quality instruction and universal screening for all children. The school is fortunate to have Mrs. Ward, the RtI instructor, leading the RtI intervention program. 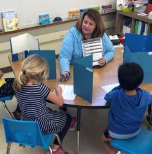 Small group instruction and weekly progress monitoring has provided students a better understanding of foundational skills needed in reading and math to secure their learning. The teaching staff at Dapplegray continues the pledge to provide intervention supports during the school day and create programs for students to secure their foundational skills throughout their elementary education. Spring is here! Come see the farm at its most beautiful. We have lettuce, baby beets, shelling peas, kale, spinach and herbs. We also have blooming perennials. Come join us to celebrate Mother's Day on the farm. Along with our Farmers Market we will be having local Artisans from the South Bay exhibiting and selling their crafts. There will be jewelry, candles, soaps, art signage and kids' crafts. You are receiving this email because of your relationship with Palos Verdes Peninsula Unified School District. Please reconfirm your interest in receiving emails from us. If you do not wish to receive any more emails, you can unsubscribe here.